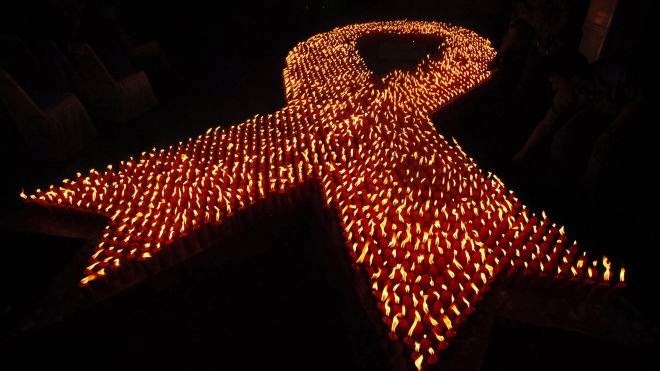 A type of HIV medicine that stops the AIDS virus from entering immune system cells could in future be put to work against cancer in new combination therapies being developed by drug companies. Interest in using so-called CCR5 inhibitors to fight tumors was fuelled last year when U.S. researchers, testing the drugs on mice, reported a marked reduction in aggressive breast cancer cells spreading to the animals' lungs. Researchers from the Thomas Jefferson University Kimmel Cancer Center described the results as "dramatic" after they were published in the Journal of Cancer Research. Now industry analysts at Citi believe Merck & Co Inc is set to take things to the next stage by testing its CCR5 drug vicriviroc in cancer patients. The product was abandoned as a treatment for HIV in 2010 following an unsuccessful study. Pfizer Inc and Bristol-Myers Squibb - which also have similar drugs in their portfolios - could follow suit, Citi said in a note on Friday. Asked to comment on the suggestion that it would start testing vicriviroc in patients in 2014 as part of a combination therapy for cancer, a spokesman for Merck said: "We have not disclosed any such plans." Citi said it expected vicriviroc to re-enter clinical testing in combination with cancer immunotherapy as Merck explores its potential across multiple tumor types, including melanoma, colorectal, breast, prostate and liver cancer. Immunotherapy, which harnesses the body's immune system to fight cancer, is a hot new area for cancer research, with some experts predicting the approach will in future form the backbone of many cancer treatments. However, drug combinations are expected to be critical to its success as oncologists will need to block cancer cells on several fronts at once. One option is to combine two immunotherapies, while another approach, also being pursued by other companies like Roche Holding AG and AstraZeneca Plc, is to combine immunotherapy medicines with different drug types. CCR5 inhibitors are one such option, given the encouraging signals from pre-clinical research. As these drugs have already been studied in HIV, their development could be relatively rapid. Pfizer could also start clinical trials in cancer with its approved CCR5 drug Selzentry, which is currently marketed for HIV via the ViiV Healthcare alliance with GlaxoSmithKline Plc and Shionogi & Co Ltd.
Bristol, meanwhile, has a dual CCR2/5 inhibitor in mid-stage Phase II development, which is being tested for diabetes and kidney disease.